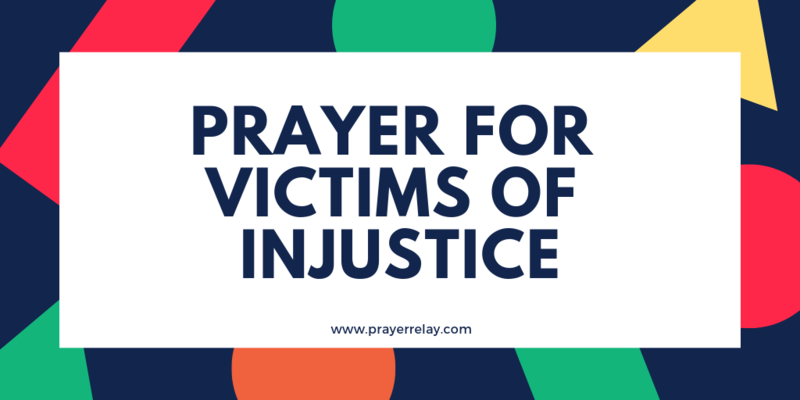 In the times that we live in, it is no surprise that there is a greater need for prayer for victims of injustice. Seeing as you are reading this, I would take it that this is something that you can relate to. It should not come as a surprise. God is not shocked to see this happening. In fact, scripture tells us of times such as this. 3 But mark this: There will be terrible times in the last days.2 People will be lovers of themselves, lovers of money, boastful, proud, abusive, disobedient to their parents, ungrateful, unholy,3 without love, unforgiving, slanderous, without self-control, brutal, not lovers of the good,4 treacherous,rash, conceited,lovers of pleasure rather than lovers of God—5 having a form of godliness but denying its power. Have nothing to do with such people. The time that we are warned of in 2 Timothy 3 is what we are experiencing more and more of today. Faith is on a decline, as people become lovers of themselves. If you love yourself in a way that blinds you, it is impossible to love other or God. Whatever in justice you have encountered, take heart. God is not asleep. He is watching over your life to perform it. We also know that at times the wicked will look like they are flourishing, yet they will wither away. Though you may suffer now. Do not take it into your own hands to find justice. When you place in it in God’s hands, there is peace at the end of it. Let us begin to pray. Dear Lord, you are a just God. You say vengeance is yours, so I place this situation in your capable hands. Where there has been an injustice, arise oh Lord and let your enemies be scattered. Wherever they have gathered to conspire to bring injustice upon your people, scatter them. Whatever pits they are digging for your people’s downfall. Let it be them that fall into their own pits in Jesus’ name. Avenge us oh Lord! The Lord is faithful to jealously guard his people. It is his promise that those who curse you, he will curse. In the same way that those who have brought injustice upon you, will themselves face injustice. Let us pray. 7 Then Nathan said to David, “You are the man!This is what the Lord, the God of Israel, says: ‘I anointed you king over Israel, and I delivered you from the hand of Saul. In the scripture above, God sends the prophet Nathan to confront the most powerful man in the land. This was a man that had used his position and power to bring injustice upon another man. Wherever power and position have been used to cause injustice, may the Lord bring swift vindication. Let us pray. Dear Heavenly Father, you are king of kings. You rule over rulers. Those on this earth, above and below it. 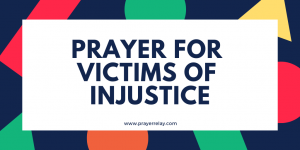 Lord, we pray for situations in which injustice has been caused by those in positions of power. We stand against those who are using power to oppress the weaker among us.